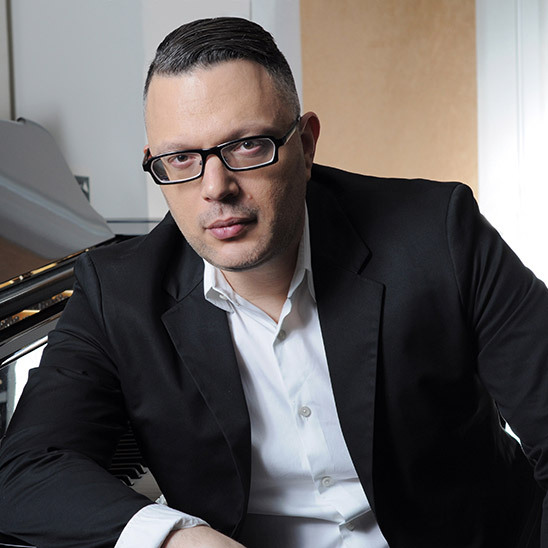 Lior Rosner is a film, TV and classical music composer, conductor, and theme branding expert who created the iconic theme for The Ellen DeGeneres Show and whose accolades include the International Film Music Critics Association nominee for “They’ll Remember You” an orchestral accompanied choral showpiece for the end titles from the movie Valkyrie. A composition and theory graduate from the Jerusalem Academy of Music And Dance, Rosner moved from Israel to Los Angeles and studied graduate music at UCLA, and conducting with a professor from the USC Thornton School of Music. In addition to his music scoring career, Rosner continues to enjoy writing classical music. His most recent recording, released on Bridge Records, is the critically acclaimed album, Awake and Dream, featuring Soprano Janai Brugger, violinist Katia Popov (concertmaster of the Hollywood Bowl Orchestra), pianist Steven Vanhauwaert, The Hollywood Studio Symphony with Rosner as composer, conductor and pianist. Also released, In Time of Silver Rain, Seven Poems by Langston Hughes, also features Janai Brugger and Rosner on piano. Rosner’s classical works have been performed live in concert by the Armadillo String Quartet, the Pacific composers forum and most recently by the innovative Kaleidoscope Chamber Orchestra. Lior’s film scoring career began as a staff composer at Fox, where he provided scores for over 200 episodes of hit children TV shows and movies. He then went on to become a freelance composer, scoring for Disney/ABC. Lior delved further into television and is credited with the theme and interstitial music for The Ellen DeGeneres Show. Rosner's film work includes the scores for Wedding Doll, Sins of Our Youth, The Geography Club and Seconds Apart. Other recent credits include music and arrangements X-Men: Days Of Future Past, Jack the Giant Slayer, Diary of a Wimpy Kid, Valkyrie, Superman Returns, Fantastic 4: The Rise of the Silver Surfer, Little Fockers, The Invasion, Cellular, Hide & Seek, Cirque du Freak: The Vampire's Assistant and TV scores for The Odds, The Losers, Battle Creek, The Pee-Wee Herman Show on Broadway and recently additional music for the ABC show Forever. Additionally Rosner wrote the score for Sony video games SOCOM Fight Team Bravo 3, Syphon Filter Dark Mirror and music for many film and television trailers including, Games Of Thrones, The Imitation Game, Paddington, Harry Potter and The Deathly Hallows, The Zoo Keeper, Yogi Bear, Jack And Jill, Game Of Thrones, Speed Racer, Walk the Line, Dreamer, Atonement, and Toy Story 3 – and prestigious commercial brands: Mercedes Benz, Campari and Hitachi just to name a few. Rosner lives and works in Los Angeles, California.